Home and office bottled water delivery will bring a safe, refreshing drinking water supply directly to you. Colorado Springs has a rich history of people being drawn to our area for its healing properties. The health benefits of the water sources found in the Pikes Peak region continue to thrive today. The early settlers and visitors of Colorado Springs knew the natural water of the Rocky Mountains was worth the trip. Shouldn’t you drink more water? Keep reading to learn more about the benefits of bottled water delivery. Why should you choose our bottled water delivery service? 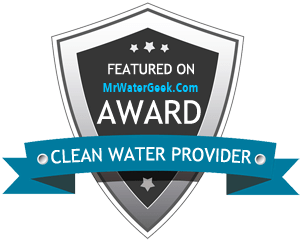 Drawing upon our local resources, the Clearly Colorado family-owned bottled water delivery company is ready to deliver to you quality water that is both safe and great tasting. Bringing bottled water directly to you will save you time and money, making it easier to stay hydrated, healthy and happy. Water coolers keep water at the forefront of your mind, leading to healthier habits to stay hydrated. Proper hydration leads to improved focus and productivity within your home or office atmosphere, not to mention less fatigue and clearer, more youthful looking skin. Tap water, although convenient, is not ideal drinking water. The public water supply contains contaminants that are unregulated by public safety standards and can be difficult to remove. Fluoridation in water is a growing concern for many people. A healthy environment begins with a healthy water source. Water is a simple but essential to daily life. Paying attention to what you’re putting into your body and of those you care for deserves careful consideration. Our bodies are around 60% water. From our brains and muscles to our bones, water is essential. Your body relies on hydration to keep you moving and functioning in an ideal way. Growing, aging, and active bodies rely on water to stay in top form. Water drives life. Doesn’t it make a difference where it comes from? Choosing safe, great tasting water matters. Drinking purified water provided by our bottled water delivery company will impact your day-to-day life. The ease of grabbing bottled water will help replace the common habit of going to bottled sugary drinks when you’re thirsty, so you will stay hydrated and healthier. Gathering at the water cooler is more than just a cliche. A water cooler creates a place of gathering for employees to build personal connections. Connections bring purpose for individuals and teams, increasing their effectiveness of work through positively stimulating their moods and their environment. A happy environment leads to generating ideas and building effective teamwork. Bottled water delivery is both convenient and easy with our custom scheduling to fit the needs of your business whether it’s big or small. Using a local company will guarantee you’re getting the personalized customer service you deserve. We understand you want to save time and money. We will provide you with a water delivery plan to meet the needs of your employees and company while making it affordable. Choose from a small countertop cooler, distiller water coolers, ice machines or free standing water coolers. There’s an option for every company. Bottled water delivery isn’t only for the office. Bottled water delivery is ideal for the home as well. Safe, great tasting water is available daily for you and your loved ones. Scheduled deliveries are personalized to make sure you always have what you need, and only what you need. You’ll never have excess sitting around, cluttering up your space. Choose what works best for your home. Do you prefer a freestanding water cooler, bottled water crock and stand, or a countertop dispenser? Our options for owning or leasing will fit perfectly with your budget and needs so you need not give up on making sure your family is drinking safe, great tasting water. Since the 1990s we’ve provided Colorado Springs and the entire front-range reliable bottled water delivery for homes and offices. We want everyone in Colorado to always enjoy quality, refreshing water. Healthy habits start with simple choices. Water is a basic need. In the fast-paced schedule of work and home, make sure you’re not only getting more than the suggested eight glasses of water a day, make sure you’re getting safe, great tasting water. We offer our bottled water delivery service to help you, your coworkers and family enjoy optimal health with your next refreshing drink of water. Bottled water delivery to your home or office may be cheaper than you realize. Call us for a free quote over the phone. We can also come to your office to discuss your specific needs and provide discounts for bulk pricing.